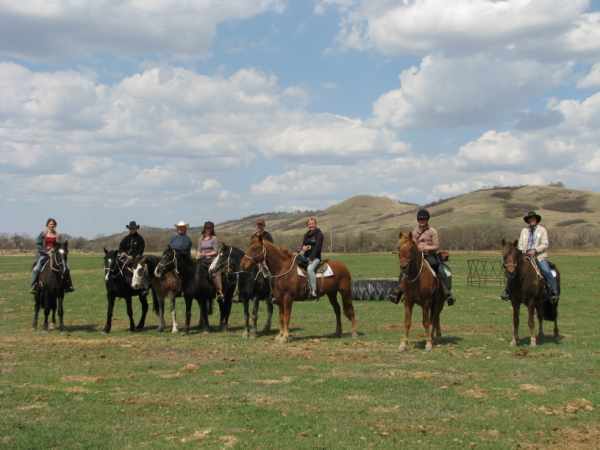 T W RANCH offers a unique opportunity to participate in the daily activities of a large working cattle and horse ranch. This is mainly seasonal (April - November) on a volunteer basis, with accommodation provided. There is a full-year position available. 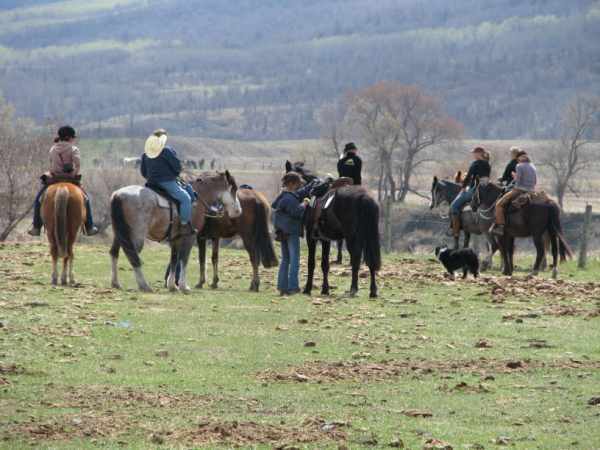 Riding, cattle drives, checking calving and foaling, training foals, colt starting, fence checking, branding and sorting cattle, are some of the activities included. 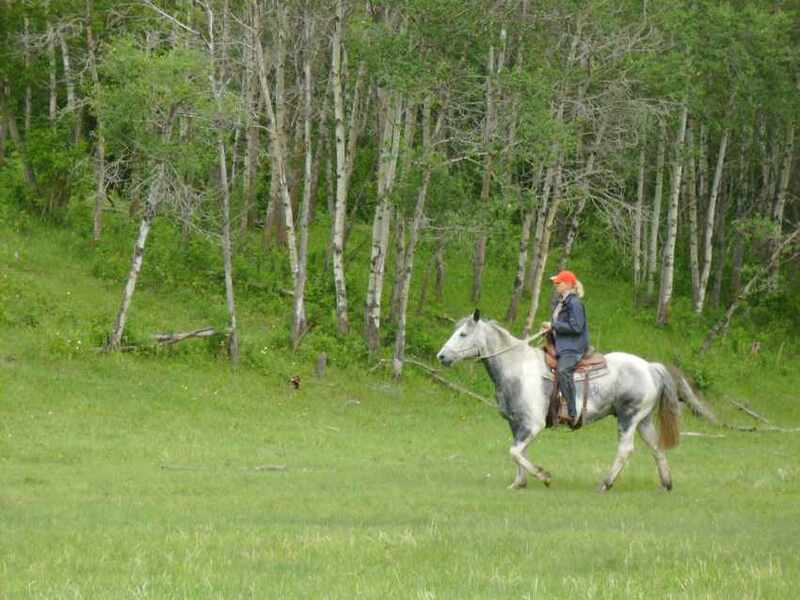 Unlimited use of the ranch and horses are available for leisure time. Remote camping and fishing on the ranch are possible. We are looking for a variety of applicants; preferably for longer terms of time. We do accept occasional applicants for a period of time shorter than six months, but ideally one should come for as long as possible to experience the ebb and flow of the working ranch. 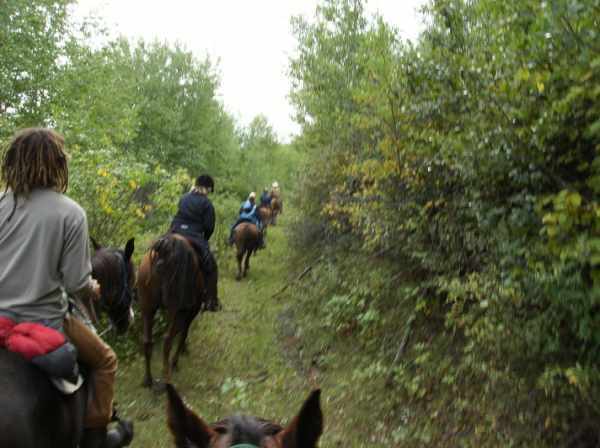 You must be physically fit, be a competent rider, willing to use natural horsemanship methods (trained on site), and have a positive attitude. Minimal English language skills are acceptable but you must be willing to use English as your working language on a day-to-day basis. English skills must be adequate for communication and safety on the ranch. You must be prepared to work 45-50 hour weeks, be out in all types of weather, work in a team situation. If applying for a position here, please send us a resume or CV of some type, setting out in some detail your background with horses, your goals in coming to a position such as this one, what part you can see yourself playing in the operation of the ranch. For instance, if you have been around horses all your life and love to work with them on the ground but do not want to ride eight or nine hours every day, we do have positions with part-time riding and part-time ground work. If your dream is to sit on a horse all day every day, we do have one or two positions for ranch wranglers where that is what you do. If you, for instance, are a Level III/IV Parelli student, we have positions for teaching young horses the Games, preparing them for riding, doing colt starting, and advancing horses through the program. Last, but certainly not least, if we get our staff accommodations updated as we plan, we will be looking for a person to do cooking, tend the garden, together with some riding activities. Please send all applications in English. Applications received in other languages are not translated. Contact the ranch for more information.